Being a busy mother can feel like being a Jack-of-all trades with your life a constant whirl of activity, trying to fit in a job, domestic chores, food shopping, cooking and ferrying the kids to school and their many play-dates, parties and other social activities. It’s very hard to fit in time just to relax and find some “me time”, let alone finding time to exercise and make sure you keep fit and healthy yourself. However, we all know it’s really important that you look after your own fitness – after all, it’s ultimately of benefit to your whole family, as well as you. • Ditch the car and if possible, walk the children to school or walk, jog or cycle to work and back. If the distance is too far and you use public transport, get off a few stops early and jog or speed walk the rest of the way. • Don’t stay up too late, in front of the TV. Make sure you get a good night’s sleep and get up early to fit in a workout DVD, a 20 minute yogo or pilates routine or a walk – taking the dog out is a good excuse. • Try and fit in a class at your local gym during your lunch break or take a walk or run with colleagues. You’ll be more alert and productive in the afternoon. • Organise a good country or woodland walk with the family at weekends or take the kids to the park and join in a game of catch, rounders or football. If the weather’s horrible, a swim with the kids at the local pool may appeal instead. Those “floats and fun” sessions for parents with small fry can be quite exhausting! 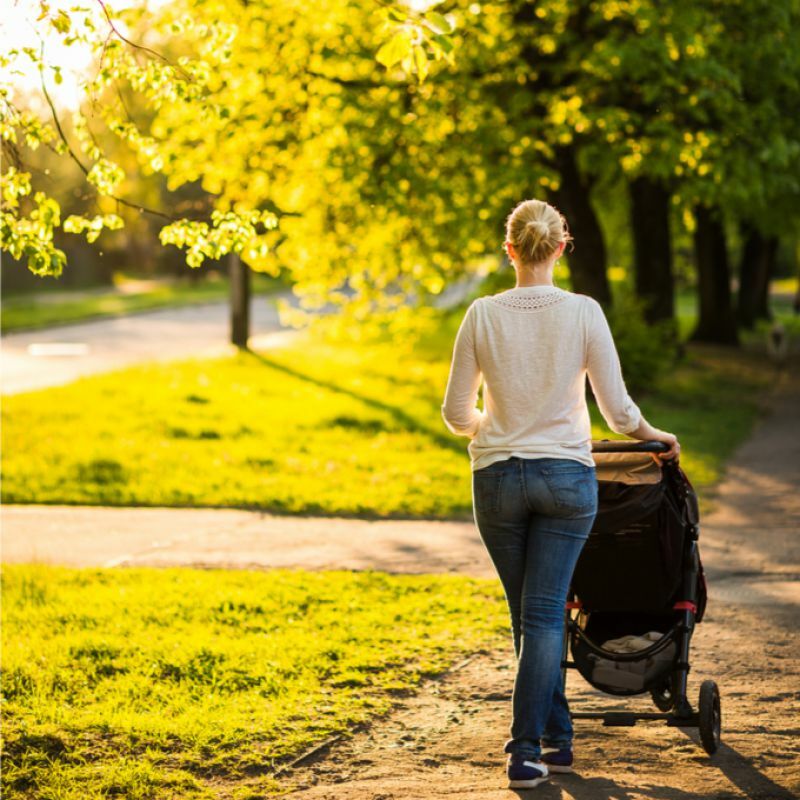 • If you’ve got very young children, invest in a jogging stroller or mountain buggy, so you can take them off-piste and get some exercise at the same time. • Take advantage of cycle towpaths and enjoy a cycle ride. You can hire bikes with child trailers or child seats, so the whole family can join in. • Persuade your partner to prepare supper with the children once a week, so you can join a Zumba, yoga or Pilates class. You could do the same for him on football night. Put it on the calendar, so it’s a commitment you both have to keep. Or rope grandparents in to baby-sit occasionally, so you can both go to a salsa class, play tennis together or whatever sport you enjoy. If you’re a single parent, how about sharing child-care with a friend, so you can take it in turns to do a fitness class.